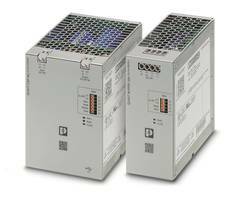 LED Design Components suit space-critical applications. 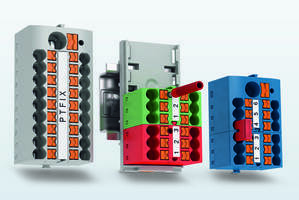 Single-pole PTSM terminal block features push-in termination technology. Its 2.5 centerline and slim profile suit LED installations and allow single-wire connection in compact footprint. Designed for surface mounting, PTSM vertical header moves wires off PCB for vertical space utilization and increases options when connecting LEDs. PTSM through-board headerÂ removes connector mass from top of PCB and relocates it underneath, allowing for pluggable connections to come from rear of device. 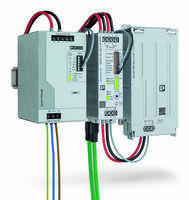 MIDDLETOWN, Pa. – New additions to Phoenix Contact’s PTSM family give LED designers more options. 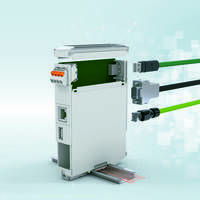 The new single-pole PTSM terminal block and the vertical header are ideal for space-critical applications, and a new through-board header expands connection options. 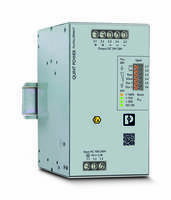 Like the original PTSM terminal blocks, the single-pole PTSM features push-in termination technology for quick wire connection. The 2.5 centerline and slim profile make it ideal for LED installations. The specs for the single-pole version are identical to the original PTSM print terminal, but now allow for a single-wire connection in a very small footprint. 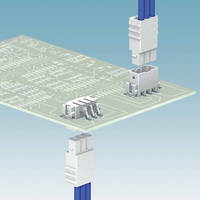 The PTSM vertical header is designed for surface mounting and moves wires off the PCB for vertical space utilization. Along with the previously released through-hole vertical header, the surface-mount option increases options when connecting LEDs. The new PTSM through-board header removes the connector mass from the top of the PCB and relocates it underneath. This also allows for pluggable connections to come from the rear of the device, assisting designers who are trying to connect power and signal, but who do not have easy access to the face of the LED board. 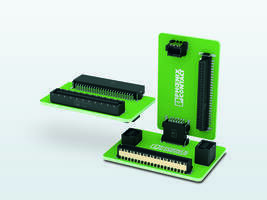 All products in the PTSM family are available in white for use within bright LED PCB modules. The PTSM’s small size also makes it useful in building automation, small fans, compact power supplies, and any limited space application.